As a part of my rather eclectic ungraduated schedule, I took Analytic Philosophy with Dr. Rod Rosenbladt. In many ways, Analytic Philosophy changed my life. As a part of the subject matter of that I course, I learned that twentieth-century analytic philosophers have stressed that all statements are one of three types: 1) analytic; 2) synthetic, and 3) nonsensical. The telling detail about each type of statement is that each has or does not have a potential proof available. The essential Christian claim is that God came to earth in Christ and died for men to take care of their problem of sin and evil. He proved that He was God and had the ability to “take care of the problem of sin,” by raising Himself from the dead. If this claim is true, as I believe it is, it, too, must in some sense have the potential to provide proof of its truth—the essential case for Christianity. But, to prove this claim to be true, we must first show what is necessary to prove anything to be true. This is where the three types of statements come in very handy. The first type of statements, those that are “analytic,” are statements of pure logic or mathematics. These statements are definitional in nature. They are valuable because they are always 100% true. Being merely definitional, they provide no information on matters concerning the world. They are, again, certain and not “up for dispute,” because they are simply definitional in nature. Dr. Montgomery’s classic example is: “all unmarried men are bachelors.” Simply put, to prove this statement to be true all one needs to know is the definition of an “unmarried man” and the definition of “bachelor” and then compare the two to see that they are in fact one and the same. Think tautology or Euclid’s geometry. These statements are proven by working a given statement back to the axiom of the system in a logical fashion. The second type of statements, those of the “synthetic” variety, are assertions as to what the world consists of. Synthetic statements claim something about the nature of the universe and what is in it, and are, as a matter of fact, proven or disproven by empirical (observable) evidence. This is great because synthetic statements typically attempt to correspond to observable data. It should be noted, that this type of proof will never reach 100% certainty. Synthetic statements, though, can be proven even though they do not reach the level of 100% certainty. The key is to try to remember that observable evidence can never reach the standard of tautology or 100% certainty. The truth is that all observation(s) can, at least theoretically, be incorrect. In fact, empirical data is always held within an open system—that is, it is acknowledged that conclusion-altering new data may arise. It is also important to remember that all of our statements about the world are synthetic. We regularly make these statements, often betting our lives on them, and operate according to their probabilities, not their certainty. Because 100% certainty is impossible, we all must, and in fact do, act on faith. We have no choice. We make “faith based” decisions all the time as a function of our ordinary decision-making processes. Again, every time you cross the street, you deem it “safe” based on your observation, but you actually take the first perilous step into the street based on faith. You don’t know to a degree of 100% certainty that a crazy teenager who just got their license three hours ago won’t careen around the corner at 80 MPH and take you out. So, because we do not demand 100% certainty of our everyday life claims, it is then unreasonable to require 100% certainty of religious claims. Again, people consistently accept claims without 100% certainty throughout daily life, to do so is a necessary function of daily survival. Finally, “meaningless” or “nonsensical” statements are claims that are neither true by definition nor demonstrable by evidence. That is, they are not provably true or false. They may be genuine feelings, emotions, or opinions, but they are not genuine in the sense of having demonstrable evidence asserted for or against their truth value. Thus, these statements are neither true nor false and are thus labeled meaningless or nonsensical. Dr. Montgomery uses an example drawn from Hinduism. In Hinduism, the fundamental claim is: “Brahman is all.” This can mean one of two things: 1) Brahman is a name you apply to everything which is mere linguistic trivia, or 2) Brahman is something that you can test out which is impossible to validate because Brahman is synonymous with everything. There is, in fact, no way to verify the statement at all. One can believe it or not, love it or not, disagree with it or not, but the validity of the statement cannot be tested. So, what changed my life was realizing through Rod’s teaching via Dr. Montgomery, was that it is possible to classify all religious claims according to testability. Wow, when you think about it, this is a mind-blowing concept. So ask yourself, which type of claim do the fundamental claims of your religion make? Are they analytic? That is, are they definitional and axiomatic, which then contain no informational content? If so, you may find that they are absolutely certain but provide no information on matters concerning the world. Are they synthetic? Can they be shown to be true or false? Do they marshal evidence in their behalf? Are they nonsensical? Are they mere statements of emotion or opinion which are not verifiable. Are they neither true nor false? If so, know that you believe something not because it is true, but because it makes you feel a particular way. What I came to realize is that the truth of Christianity is based on the claims made by eyewitnesses in the New Testament concerning Jesus. That is, if those claims have enough evidence supporting them, then those claims ought to be accepted. Christianity, being based on the observable resurrection of Christ from the dead, can be shown to be either true or false. That is, the Christian claim is inherently synthetic in nature. If Christ did rise from the dead as the apostles testify to, and this claim can be shown to be reliable, then Christ ought to be followed. If Christ did not rise from the dead, then the essential Christian claim is false, and our faith as Christians is in vain (1 Cor 15:17). The good news is that the evidence for the resurrection is reliable, and can be shown to be such. Christ did indeed rise from the dead, and this is not nonsensical nor a mere tautology. It was an event that occurred and real time, real space, and real history that was witnessed by more than 500 witnesses at one time (1 Cor 15:6). 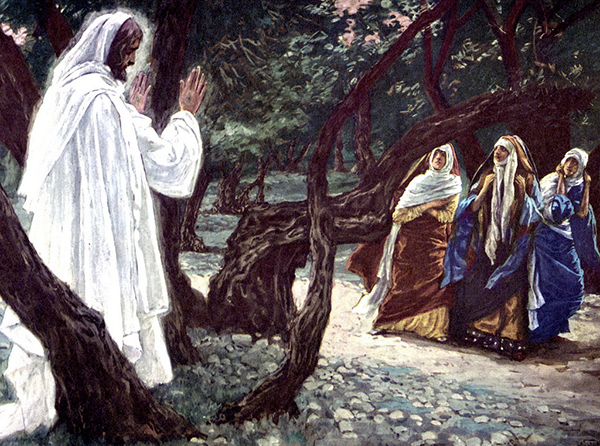 Christ is risen, and He is the first fruits of your resurrection. There is much more to say that this format will not allow. But, I hope you have come to understand why what I learned in college so long ago changed my life. A special thanks to Dr. Rod Rosenbladt and Dr. John W. Montgomery for conveying this life-changing wisdom to so many students over the years. 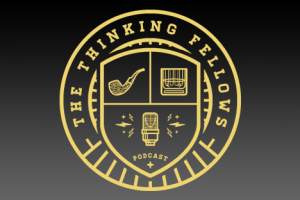 If you follow the Thinking Fellows podcast, you may be interested in tuning in to our new series was we cover apologetics. There you will hear me, Dr. Rosenbladt, and Dr. Francisco attempt to explain many more concepts that changed our lives and that may change yours as well.